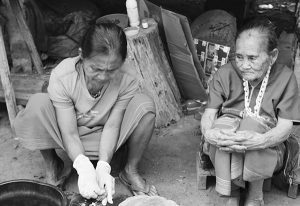 Before talking about the sterling silver jewellery itself, it’s important to understand the hill tribe communities and their origins. Many different ethnic groups have gathered over many centuries in the border lands of Thailand, Myanmar and China. They are known as the “hill tribes” because they are isolated communities in this mountainous region and have retained a traditional way of living. It is thought that there are over twenty different hill tribes in this area. Six of these have been identified as large groups, each totalling more than one hundred thousand people. The largest of these is the “Karen hill tribe”. It is estimated that they number over four hundred thousand in Thailand, while an additional eight million live across the border in Myanmar. Centuries ago, when these tribes first arrived, borders were less established and movement was far easier. Karen tribes have been dated back to the twelfth century and it is thought they originated in Tibet, spread through China and Myanmar, and finally reached Thailand. The roots of the Karen people are in subsistence farming. They were semi-nomadic, following Swidden (slash and burn) farming methods, moving on to new locations every few years. Historically, opium production was also a major source of income. As the Thai nation developed, this was discouraged and governments attempted to substitute opium with other cash crops such as corn and rice. The tribespeople believe their ancestors taught them how to live off the forest and surrounding areas without causing harm to the natural forest ecosystem. With techniques passed down through the generations, the hill tribes also made sterling silver jewellery to use as barter currency. In the beginning this was predominantly beads and sterling silver necklaces. The Karen tribes seemed to settle in the “middle level” mountains (altitudes between 800 and 1,800 metres). In Thailand they mainly settled to the west of the second city, Chiang Mai, which lies in the North East of the country. Life was simple and involved very little by way of possessions. 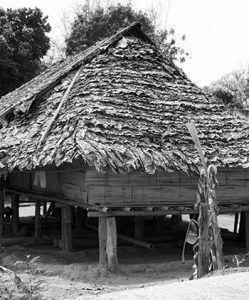 Houses were made of teak or bamboo and were built on stilts. The space underneath could be put to a multitude of uses, from animal shelters to workspaces for crafting the sterling silver jewellery. The houses themselves were very basic and sparsely furnished, with people usually sleeping on a mat covering the bare floorboards. In more recent times, pressure has been put on these artisan communities to end their nomadic way of life and settle in one place. 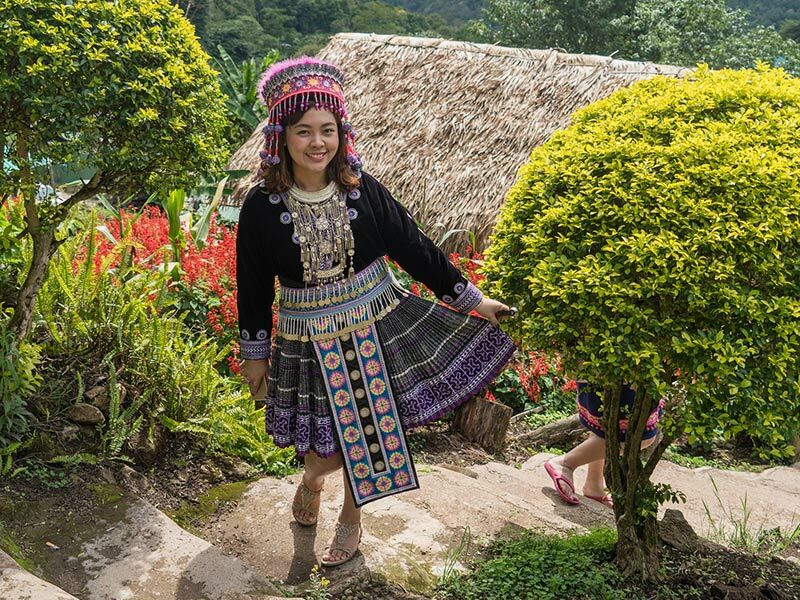 Some hill tribes still suffer from a lack of recognition by the Thai authorities, meaning that they are not entitled to any of the benefits of being a Thai citizen, including education and access to healthcare. (Obviously compared to our western norms these benefits are very limited, but anything is better nothing!) As the largest hill tribe community in Thailand, and with the government wishing to stop them moving around, incentives were offered to create more permanent settlements. Therefore in the 1950s a lot of the Kartribes found suitable land and settled.